By 1971 Pink Floyd had done a good job of distancing itself from the considerable influence of Syd Barrett and started recording albums that better reflected their true identity. England loved them but here in the USA they were still being unfairly lumped into the dubious and suspect category of "acid music" and not being taken seriously yet. However, with this album they finally became more accessible to the masses and the tide began to slowly (but surely) turn in their favor. The fact that the very first cut, "One of these Days," lent itself well to the still eclectic FM radio stations and, therefore, smoothly migrated into their much-desired heavy rotation was one of the big reasons. Even though it's an instrumental, it has that signature "Pink" sound that invariably draws even the most casual of listeners in. David Gilmore's slide guitar work is all over this album but here it's especially striking. The overriding pulsating guitar effect also sets it apart from the herd, as well. "A Pillow of Winds" meanders a bit here and there but it's still a nice, pleasant tune with more of Gilmore's interesting slide guitar. "Fearless" is an outstanding song with an easy, loping pace that I've always liked. The crowd singing "You'll Never Walk Alone" is so amazing as it drifts in and out along the way, giving the tune a unique quality. Next is an unexpected left turn, "San Tropez," by bassist Roger Waters. It's a little like the Lovin' Spoonful's "Daydream" in texture but it's the tasteful guitar and Richard Wright's cheery piano that really stand out. It's a delightful change of pace. "Seamus" is a hike off the beaten trail, as well. The dogs (literally) sing quite well over the country Dobro and honky-tonk piano and the whole thing has a nonchalant Stones-ish aura to it. The sidelong "Echoes" definitely shows where the band was headed in the future. Starting with what sounds like sonar pings, the guitar and organ take over before long and then the harmony singing begins. There's a definite "Time" (from Dark Side of the Moon) element at work here but not as well defined as in that great song. There's an intriguing lead guitar being played by Gilmore but you have to listen intently as it's buried in the mix. A funkier rhythm propelled by drummer Nick Mason enters and takes us to some cool guitar feedback layered over Wright's tactful organ work. A spacey section follows where it sounds like wind blowing through a huge cavern and tiny creatures screaming. Next is a segment that is reminiscent of "One of these Days" but with the throbbing effect much more subdued. At one point Gilmore constructs a layered, echoing guitar passage that is brief but excellent. The long epic comes full circle with a reprise of the original melody before the whole thing fades away. The clearest way to describe this 23-minute composition is "genuinely psychedelic." Overall it's a good effort but as a group they weren't quite "there" just yet. However, it's obvious that they were headed for the Promised Land. I'd rate this one a 3.4 on the five-star scale and say all Floyd fans should definitely have it in their collection. 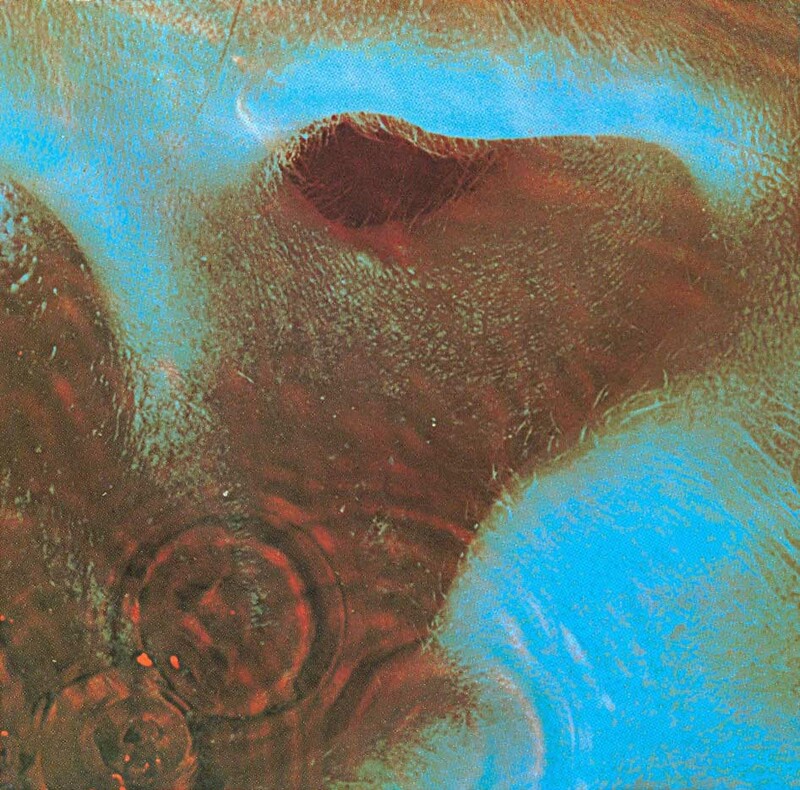 "Meddle" reveals a work in progress that would eventually take over the world and find the band becoming a household name.